Brands influence the way we think, whether we are conscious of it or not. We are bombarded by commercials, on average, hundreds of times a day, from everything from movie trailers before the feature film we paid for, to something as simple as seeing a brand name embroidered into someone’s clothing. But just how has branding and product placement evolved over time to occupy its preeminent place in culture that it does today? One of the first and most important examples of modern advertising vis-à-vis product placement took place during the famous Easter Sunday Parade campaign of 1929 called “Torches of Freedom”. Up until that point, cigarette smoking had been portrayed in the culture at large as a predominantly masculine thing to do; women just simply did not smoke openly as a matter of it being a public social taboo. It was considered not only inappropriate, but a corrupt act for a woman to partake in a cigarette. Smoking was largely attached to sexuality when it came to female imbibers, and so the symbol of female smoking was attached to prostitutes and women who were considered to be of looser morals. It was even legislated in the US thusly. In 1904, Jennie Lasher served a thirty day jail sentence for smoking in the presence of her children, so placing their morals in jeopardy. By 1908, New York City unanimously passed an ordinance that forbade the smoking of women in public. Psychoanalysis as a field was still in its days of relative infancy, but that did not stop George Washington Hill of the American Tobacco Company from using the mind of one Edward Louis James Bernays, a nephew of the looming giant of the field, Sigmund Freud. 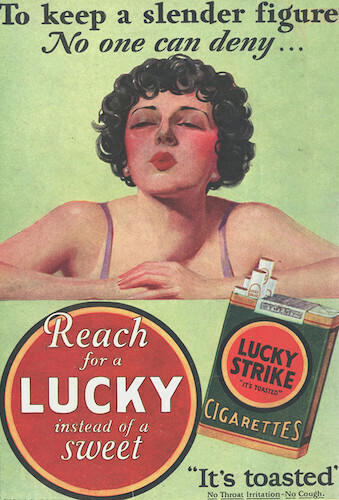 The Austrian-American psychologist, credited as being the father of what we now know as public relations and named one of Life magazine’s 100 most influential Americans of the 20th century, successfully and swiftly turned the cigarette from a cultural symbol of indecency for women into a signifier of women’s emancipation and aspirations for equality with their male counterparts. How did he manage this? He first sought advice from AA Brill, a correspondent of Freud, who claimed that women’s natural desires were suppressed now that they too had a place in the workplace. Feminine traits that were being masked could be reclaimed with the oral pleasure of smoking. Thus, the symbol of freedom was born through women partaking in the ‘masculine’ act of smoking, placing the sexes on equal footing. To publicly instill this image in the minds of the masses, Bernays was inspired to pay for young, attractive yet relatable-looking women to shockingly pull out cigarettes during the aforementioned parade and start lighting up. He planted photographers to make sure the scene was publicized around the world. The rest, as they say, is history: this was a huge talking point all over the globe, and sales among the female demographic for women steadily increased in just under 40 years going from 5% to 33% of total cigarettes being sold to women. This fulfilled Hill’s prophecy that gaining said user base would be like “opening a gold mine right in our front yard”. This single case study sparked a revolution in advertising and branding. To associate a brand with something cool, fun, hip, or otherwise desirable was the ultimate goal of the advertiser, and it is where we get the modern image of Apple users as “smart and edgy” from. 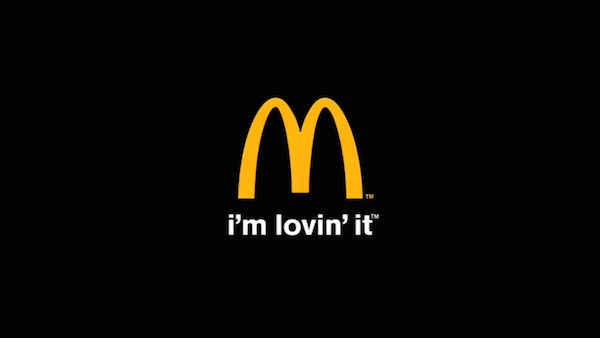 McDonald’s iconic commercials from the last 30 years all promote an image of a fun-loving lifestyle, which is reflected in their slogan, “I’m lovin’ it”. To associate that phrase in the potential customer’s mind with the company elicits a response that identifies the customer with the message. As soon as the words “I love McDonald’s!” flashes in the mind’s eye, you’ve already begun looking for your keys so you can get to the nearest drive through as soon as possible. Ads have evolved from selling the consumer on a message of mere association with a character trait or quality to honing in on a kind of lifestyle companies know is desirable amongst their target demographic. Videogames in the late 90s faced a similar public perception problem that cigarettes faced in the 20s: that is, playing video games was seen as an undesirable activity thanks to an aging demographic that grew up with games, but associated the culture of gaming as being juvenile and for kids. Cinematographic ads like this for the Sega Saturn were dark, mature in theme, and edgy. The message was simple: if you wanted to shy away from the lifestyle of a young adolescent who still plays with action figures and whose videogames consist of anthropomorphized, talking stuffed animals, then stay with your Nintendo or Sony console. The rest of the cool kids can play the latest, graphically supreme Sega console. Another form of advertisement equates an entire activity with a company. 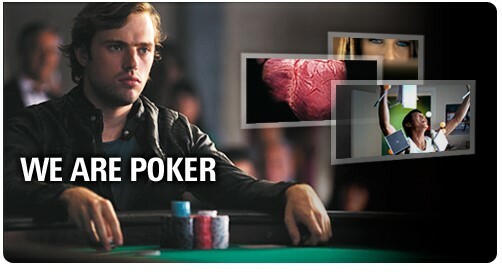 PokerStars’ We Are Poker slogan brilliantly conflates the availability of the parlor game wholly with the online company itself; there is no other alternative for this kind of exciting competition that young, successful looking men (like the one pictured on the site) engage in. Speaking of competition, another campaign by the same company features multiple-time world tennis champion Rafael Nadal. Celebrity can be a successful marketing tool, one that associates the stimulation of competing and crucially, success in contests, with a recognizable figure who symbolizes achievement at the highest level. Although the campaign has to get it right; it has to suit both the movie and the product. There are some incredibly famous examples of product placement: Wilson ball in Cast Away, Pizza Hut’s instant pizza in Back to the Future 2, Ford Mustang in Bullit and many more. You can check the list of top 40 best placements ever and found some other successful cases. 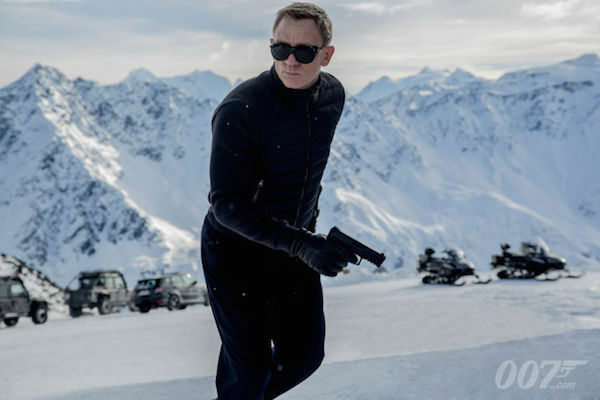 One of the characters renowned for product placement is James Bond. After all, we know he drives an Aston Martin, wears Omega watches, and drinks Heineken when he’s not sipping away at a Martini – shaken, not stirred. But recent reports are suggesting that Daniel Craig and Spectre director Sam Mendes turned down $5million from Sony to use one of their mobile phones in the film, claiming that Sony devices weren’t good enough for 007. It’s thought that Samsung has also put in an offer to be the cell phone provider of Bond, which will give them huge exposure, and boost their reputation with the secret agent seen as a classic kind of man, who prefers the finer things in life, like an Aston Martin DB10. Brands will continue to get smarter and smarter with their product placement, subtly springing their names into our subconscious. As long as they can find the right placement, anyway. Marketing will continue to sell the image of lifestyle while attempting to package the urgency of necessity with it. That is, the message of “without X, you cannot attain Y” is one of the most effective ways to entice a customer that they have to own a certain product or service. Nike has some amazing advertising campaigns that are cinematic, moving, and effective. Here, the message is not just that Nike products will make the wearer a better athlete; the subtext implies also that without Nike, the wearer of another, inferior product will therefore be a worse athlete. The next step in ads will be marketing that is increasingly targeted as our consumer habits become increasingly well known to advertising agencies and companies. Did you just buy a pregnancy test off of Amazon? “Might you possibly be interested in looking at other assorted baby items while you are here?” the site asks you by showing pictures of baby clothes, cribs, and toys for infants. The future in advertising is wide-open and as fascinating as ever from a cultural and psychological point of view. Branding is a kind of art form that doubtlessly will continue to influence our lifestyle choices and consumer habits. And technology will certainly play a big part too, personalizing ads more and more. Channel 4 in Britain teamed up with Coca Cola last summer at the height of their Share a Coke campaign, creating adverts on their on-demand site which included the user’s name. And we can certainly expect more of the same from brands. The likes of Facebook and our internet providers are already doing a similar thing, whilst supermarkets are aiming to use facial recognition devices to push brands and products onto us. There’s no doubt brands will continue to develop new strategies in order to find themselves more and more in our thoughts, and it will be interesting to see just how far they actually go. The facial recognition technology has been met with a mixed response with many customers feeling there are huge consensual issues there. Whether those issues will get ironed out, we’ll have to wait and see. But you can guarantee we’ll be more brand wary than ever before.